The host welcomed us with fresh fruit, and a plate of brownies and dates. The studio is a great setup on this property. It was a great setup near the airport. The studio had a patio with setting area and a hammock. There is everything to like! Our host, the place and the surrounding. Absolutely perfect. Extra details that matter (fruits, sweets provided as complimentary), fresh milk and yogurt, cereals. We just had one night stay before heading to the airport, hence we couldn't enjoy location fully due to our time constraint. Unable to put into words how great this place is.... Thea and the whole Benny family were the greatest hosts you could ever hope for. It's an outstanding property set in the most beautiful and idyllic part of the world imaginable. To have found this place was an unparalleled stroke of luck. To describe myself as as "eager to return" would be understatement of the century! 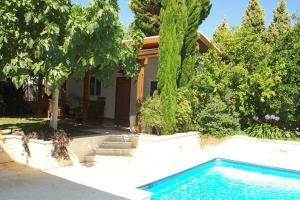 Very friendly host, great property, we very much liked the friendly atmosphere, it felt like being at home. An idyllic setting, a bit off the beaten track. I wish I could have stayed there longer. The hostess, Thea, was very nice. Although I didn't add a breakfast option, there was enough food in the kitchen to supply my morning needs. Thea ist eine richtige Gastgeberin. Sehr nett und hilfbereit. Sie haben für uns ohne Zusatzkosten den Kühlschrank vollgepackt. Die Betten sind sehr bequem, die Küche perfekt ausgestattet für Selbsversorgung, das Bad sauber, Pflegeprodukte vorhanden, kleine Gartenabschnitt mit Gartenmöbel direkt von der Tür. Lock in a great price for Benny's Studio – rated 9.3 by recent guests! Located in Bet H̱anan in the Center District Israel region, Benny's Studio has a terrace and pool views. The property features free WiFi. The apartment features 1 bedroom, a kitchenette with an oven, a washing machine, and a bathroom with free toiletries and a hair dryer. A flat-screen TV with satellite channels is provided. Benny's Studio has a grill. Guests can also relax in the garden. Tel Aviv is 13 miles from the accommodation, while Herzliya is 19 miles from the property. 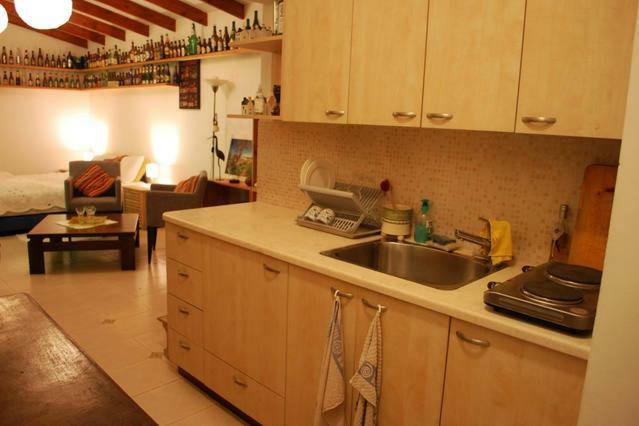 The nearest airport is Ben Gurion Airport, 16 miles from Benny's Studio. 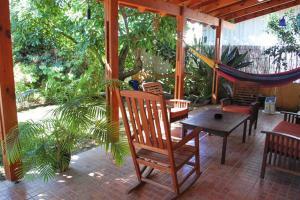 This property also has one of the top-rated locations in Bet H̱anan! Guests are happier about it compared to other properties in the area. 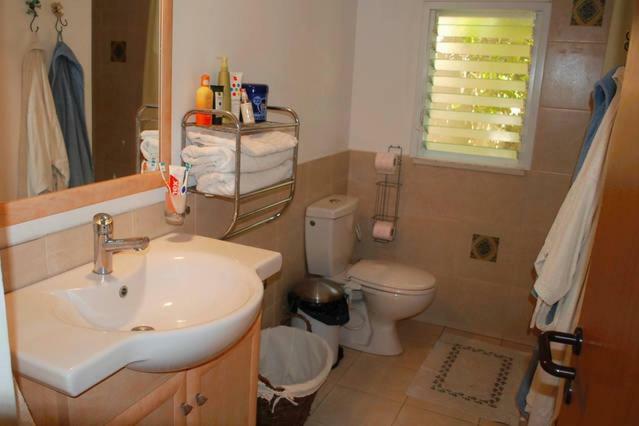 This property is also rated for the best value in Bet H̱anan! Guests are getting more for their money when compared to other properties in this city. When would you like to stay at Benny's Studio? This apartment has air conditioning, kitchenette and stovetop. 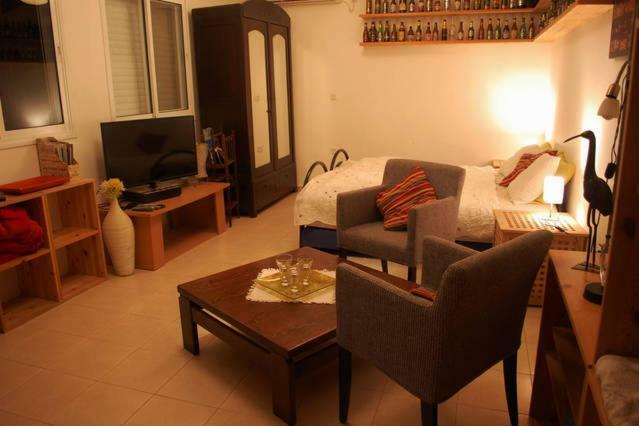 Nice and comfortable Studio apartment in the heart of israel. Only 15 min' from Tel-Aviv, 5 min' from Ness Ziyona, Rishon Leziyon, Rehovot and Yavne, and 40 min' to Jeruzalem. 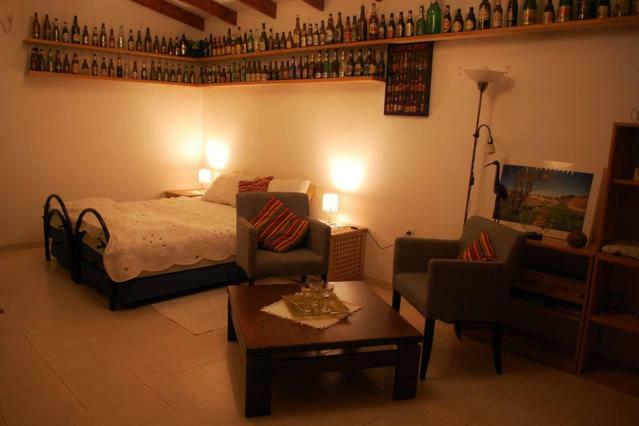 In the apartment you'll find a cozy sitting place, 2 single beds which open both to 2 other single beds, Tv with local channels, wardrobe, A/C, small kitchen with Fridge, Microwave and electric stove. 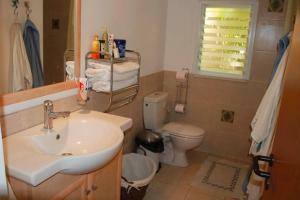 Clean toilet and shower with towels. Outside, you'll enjoy your own private porch and small garden. there is a big swimming pool in the backyard that we use daily, but we would be more than happy to share it with our guests and give you full privacy when you get in. We are a family that loves to have visitors. we have a lot of tips to give you about places to go and how. our guests are always welcome to ask whatever they want. Beit Hanan is a small and quiet moshav in the heart of Israel. 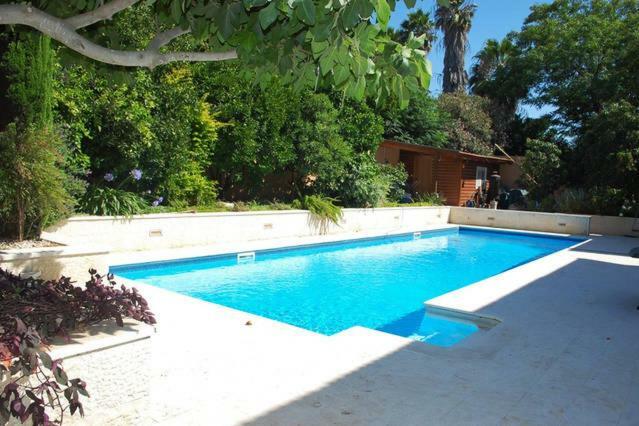 Only 15 min from Tel-Aviv, 5 Min from Nes Ziona, Rishon Lezion, Rehovot, and only 10 min away from Palmachim beach. 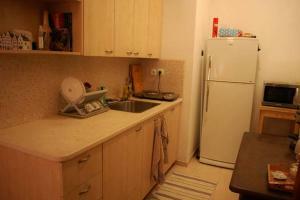 In the surrounding you can find the best restaurants, parks, shopping malls and other attractions. There is a grocery store in the entrance of the Moshav that is open daily from 7:00-19:00/ Beit-Hanan is famous of his big fields and walking pads trough the orchards. At night, there are a lot of places to go out to. House Rules Benny's Studio takes special requests – add in the next step! Any additional adults are charged ILS 30 per night for extra beds. Please inform Benny's Studio of your expected arrival time in advance. You can use the Special Requests box when booking, or contact the property directly using the contact details in your confirmation. It was a bit hard to find since part of the description sent via mail did not transmit properly but that is a technical issue that can be easily fixed. I truly enjoyed being at Benny's Studio.